Sam Locatelli, MD, is a compassionate doctor and a physical medicine and rehabilitation specialist. He is the acting medical director at Peak Medical in Berkeley Heights, New Jersey, where he oversees patient care in addition to personally treating patients. Dr. Locatelli began his education at Georgetown University, where he graduated with a bachelor’s degree in biology. He continued his studies at New York Medical College in Valhalla, where he earned his medical degree and completed post-graduate training in interventional pain management, specializing in advanced injection therapy. Most recently, he finished a course in the Closurefast™ system of treating venous insufficiency. He’s currently a member of the Academy of Integrative Pain Management. 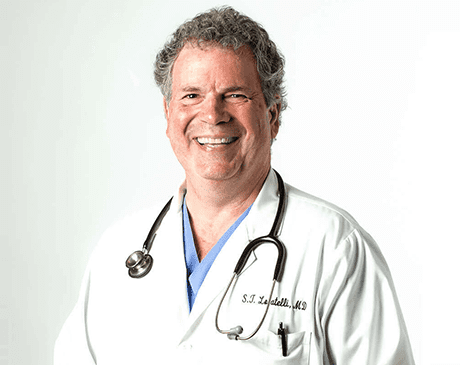 In his personal practice at Peak Medical, Dr. Locatelli performs various injection therapies, including sacroiliac injections, trigger point injections, and joint injections. He also performs platelet-rich plasma therapy, which enhances the natural healing process in injured joints. Additionally, he specializes in the SphenoCath® technique to help patients dealing with migraines and headaches. When he’s not treating patients, Dr. Locatelli enjoys following the New York Yankees with his sons, TJ and Jimmy, and traveling with his wife, Kassie, to Italy, Texas, and Virginia. In his alone time, he is a voracious reader, and he has a keen passion for contemporary novels.